A female bystander suffered minor injuries when police opened fire on an armed man who tried to enter the US Capitol building\'s visitor center. The suspect has been identified as 66-year-old Larry Dawson of Tennessee. In October, Larry was arrested for interrupting a Congressional session and yelling \"prophet of god\". 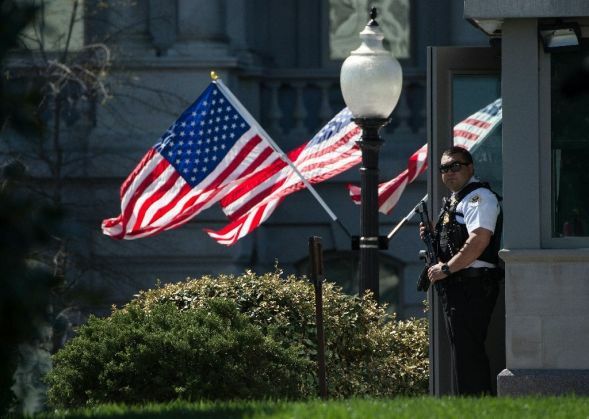 Police shot an armed man as he tried to enter the US Capitol building's visitor centre in Washington, officials reports stated. Meanwhile, a female bystander suffered minor injuries when police fired at the suspect. The complex was placed on lockdown but the security precaution has been lifted and US Capitol police identified the suspect as 66-year-old Larry Dawson of Tennessee. The BBC reported that Dawson had been admitted to the hospital, where he is said to be in a "critical but stable condition". Officials had initially said that a police officer had been hurt in the shooting. However, Capitol Police Chief Matthew Verderosa told news agencies that no officers were shot. "There is no reason to believe this is anything more than a criminal act," Verderosa said, adding that the suspect's vehicle was found on Capitol grounds and the weapon was recovered. Police called the shooting an isolated incident, saying there is no active threat to the public. According to official reports, the suspect was known to Capitol police. ABC News reported that in October 2015, Larry was arrested for interrupting a Congressional session and yelling "prophet of god". He had been charged with assault with a deadly weapon and assault on a police officer while armed, BBC reported.